Evanston/Skokie School District 65 Board president Suni Kartha at a meeting. Three school board members are up for re-election, though none will face challenges. Despite running in an uncontested election for the Evanston/Skokie School District 65 Board of Education, acting board vice president Anya Tanyavutti said she plans to use the campaign season to be “transparent and inclusive and honest” with the communities she serves. Tanyavutti is one of three board members up for reelection on April 2, along with board members Sergio Hernandez and Rebeca Mendoza. All three elections are uncontested. Henry Wilkins II’s daughter is in third grade at Walker Elementary School in District 65. He said some board members have been vocal about inequality and is excited to see those members be re-elected. But Wilkins said he wishes there were other candidates running in the April election to “light a fire” and ensure that “the current school board isn’t complacent” about equity issues. “Because there isn’t any competition and because there isn’t a candidate running against the current school board members, it makes it difficult to bring issues to the front that are around equity,” Wilkins said. He said his primary concerns include overt racism in schools, ensuring teachers are culturally competent to teach students of color and addressing inequitable bussing in the 5th Ward. Tanyavutti said the board prioritizes transparency and inclusivity of stakeholders when it comes to forming policy. The board has focused its attention on how to provide support to create an emotionally and physically safe “curriculum, culture and climate” for students from marginalized backgrounds in District 65 schools, Tanyavutti said. 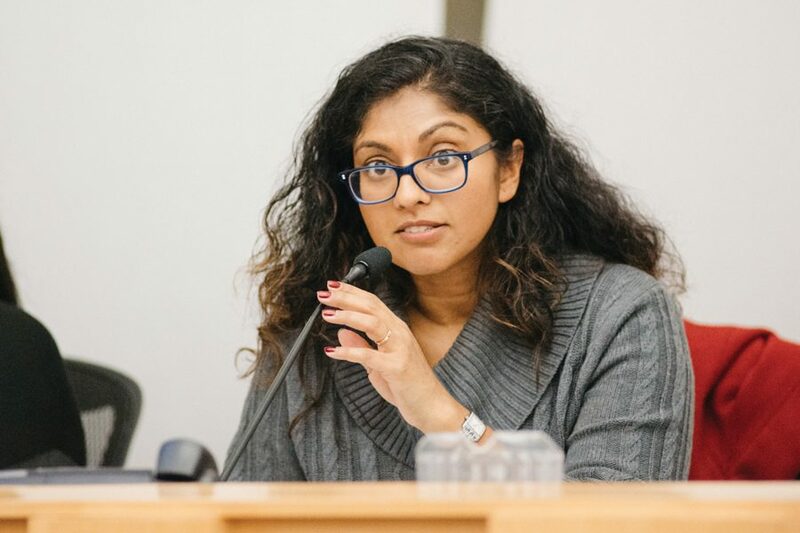 The seven-member, locally-elected school board strives to consider the interests of all students it serves, said Adeela Qureshi, the school board secretary. Qureshi said not having contested elections is a common occurrence — there are often the same number of people running as there are available seats on the board. In the 2017 election, there were four available seats and only five candidates running. Nicholas Korzeniowski had originally filed papers to be nominated to the school board ballot, but board president Suni Kartha — acting as a voter, not board president — filed objections to the nomination due to issues with the paperwork. Kartha said the portion of the paperwork where the circulator attests to witnessing the signatures of voters for the petition was missing. Korzeniowski will not appear on the ballot in April. “That was just such a glaring problem that and it seemed to speak really to the heart of fraud issues,” Kartha said. She added that having an uncontested election gives the board “continuity” in their work with racial equity in education. Tanyavutti said much of her work on the board has been centered around equity, but she emphasized that lots of issues that have come up in the board’s discussions are ongoing processes. Seeing these concerns develop into policy in the future is one of the primary reasons why Tanyavutti said she is seeking reelection.